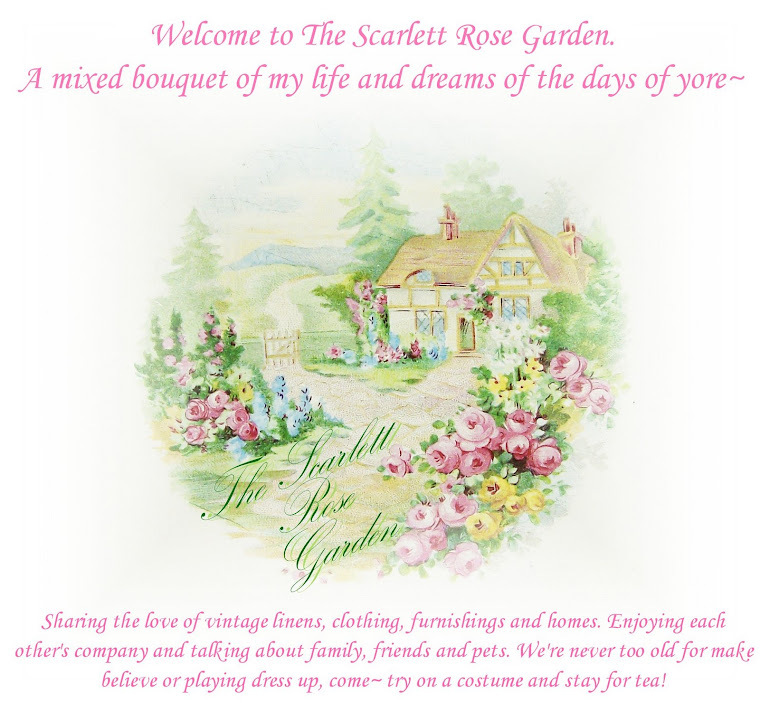 The Scarlett Rose Garden: Great recipes! Well, worth a laugh anyway! As y'all know, I'm a Weight Watcher member. And well, if you didn't know you can read about it here. Today I want to share some very humorous recipes. 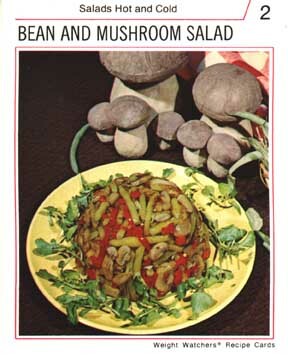 Click on this~ These are actual WW recipes from the 70's. The first one isn't so funny, but keep going. The commentary is a hoot! All I can say is, thank goodness Weight Watchers has come a long way. I couldn't possibly eat this slop. I'd be calling out for pizza 911 for sure! Here's just one tantalizing photo for you! I remember this well. My mom was in Weight Watchers in the 70's and I saw a lot of this kind of food. Thank goodness she kept it to herself! I love your July 4th post! You look great! I'd love to have hair like yours! Ewwwwwwwwwwwww! Some of those recipe looked DISGUSTING!!!!!!!!!!!! Fish balls? Chicken livers or whatever that was? Nasty!!!!!!!!!!!!! I just looked at the pictures of you through the years with all the weight gain and weight loss. I have to say, heavy or thin, you're still beautiful. Your highest weight isn't even near what I weight now! EEK! What a hoot! I'm glad they're not like that now. I would have never survived their diet 30+ years ago. Oh my gosh! I think just seeing the pics of those recipes would help anyone lose weight. Go through the hole stack and you'll lose your appetite and not want to eat. Do you think that's what they had in mind? LOL I can't wait for the next time hubby asks what's for dinner.....just so I can say Fluffy Mackerel Pudding! I think their tactic was that if you made that food, you could not eat it, therefore starving yourself to death! We've come a long way from the days of Tab and melba toast! OMG, I just went and looked at those recipe cards! If your readers have not checked them out yet, they really should. I laughed so hard at the commentary! Yuk! Aren't you glad they saw the light and changed WW!! Did women lose weight back then because these recipes made them just want to starve themselves instead of eat!?! Ewww!! Too funny! My husband's aunt is doing WW now and she loves it and is doing awesome!! Seems they have come a long way!!! LOL!!! Hope you are having a great day sweetie! I so remember those recipes. My mom was part of WW in the 70s. I can remember the things she had to make. 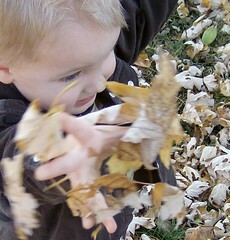 Thanks for stopping by my blog and for your suggestions. I do appreciate it! I hope you enjoy your day! Just making sure you know you're the featured 'blog of the week' over at Gracious Hospitality! Hi Nikki!! The blue you keep seeing is on the walls of our den- aka Project room.....aka The Danger Zone!!! The color is from Glidden and is called "Overcast". We had this color in our first house, in our last house and then now. I love it....I think it is the perfect blue! I'll have to take a better picture and email it to you!! Oh my! I am really on a deadline now! I'll have to finish early so I can post my mystery project on Thursday instead of Friday!! LOL!! Did women actually follow the diet or just take one look and starve instead? EWWWW!!!!! Thankfully they have changed all that so that you can eat real food now! Commentary was hysterical. You look amazing! !